Once on site the DARTs start making contact with the local organisations which can help them evaluate the extent of the disaster and plan a suitable response. 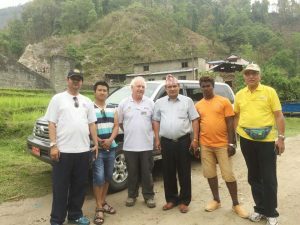 Our first point of contact is often Local Rotary Clubs as their members usually have good connections throughout the community. They can also can quickly identify other non Rotarians who will be provide local knowledge when planning our response. As they become aware of the extent of the problem the DARTs can meet with the communities that they feel we can best assist. Consider if one or more of our Standard Aid Solutions will be a suitable response. We will then commence implementing the best response for those communities that we are supporting. Again our contacts within the local community are invaluable as they are able to identify, and smooth out, any potential bottlenecks. The effectiveness of our solutions. If any new opportunities to improve our response are identified.